Our philosophy at ANTITPD has always been to put the vaper first, and that’s exactly what we have been doing since day one. So, what does that involve? Putting the vaper first, what exactly does that mean? It means striving to build healthy relationships with vapers by identifying their needs and providing the best possible experience. It means we think of vapers not just as people buying products from us, but as people seeking viable solutions with whom we fully empathize. It means analyzing feedback and suggestions on how to drive and deliver excellence in customer service. “Putting the vaper first” means a lot of things, but what it comes down to is this: we know that when you put vapers first in anything and everything, they will feel that – and our business will keep moving from strength to strength. We are proud to be able to say all our products are made using the safest pharmaceutical grade ingredients that meet or exceed US, EU, and British pharmaceutical standards. Not only that, our products are also environmentally friendly, cruelty free, and in line with kosher, halal, and vegetarian requirements. With ANTITPD, safety and quality are givens, but the picture would not be complete without the best possible price point. 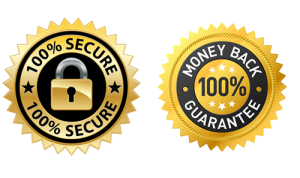 It will please you to know we have done everything possible to offer you the lowest possible price, without sacrificing an iota of safety or quality. Add to that our extensive range of products, and you have a recipe for satisfaction that pleases vapers everywhere. Our thought process revolves around SMILES – Sharing, Mindful, Integrity, Learning, Empathy and Sharing. In other words, we believe in happy employees and happy customers. It’s a belief centered in the idea that happy and empowered employees make happy and loyal customers. Naturally, it follows that customer satisfaction is at the core of all of our business decisions. As a customer-centric company, we are aware that for us to succeed, our customers need to succeed. We know that as long as we make you happy, you will make us happy. This culture of happiness is the cornerstone of our mentality and the underlying source of our success. You will be pleased to know we are collaborating with some of the biggest and most respectable raw material providers in the industry to bring you nicotine bases with the highest possible quality. As part of our commitment to excellence, we use only 99.9% pure pharmaceutical grade nicotine that has less than 0.5% water and less than 10ppm in heavy metals. We exclusively use nicotine that is extracted and distilled from tobacco plants, as opposed to nicotine obtained from lower quality sources such as nicotine sulfate or nicotine made from synthetics. In terms of quality assessment, every batch is put through a rigorous quality control system that includes hair-splitting volumetric analysis by triple titration testing from multiple levels of the production run to guarantee absolute consistency, uniformity, and purity. In short, when we say “pure”, we mean pure – there is simply none purer! The last two are automatically disqualified, but there are those who also argue against food grade PG and VG because the lungs may not be able to handle it too well, not to mention it is highly likely there will be significant differences between food grade PG/VG bases from manufacturer to manufacturer. To summarize, all our products are made using the safest pharmaceutical grade ingredients that meet or exceed US, EU, and British pharmaceutical standards, as well as kosher, halal, and vegetarian requirements. Rest assured, when you’re vaping our products, you’re vaping safe and spiritually sound. In terms of prices, well…that’s the be-all and end-all, isn’t it? As you will see or have already seen, we have redefined the word “competitive”. Everything is priced to move fast and save you considerable amounts of money. The bottom-line: It is our sincere pledge to you we will keep prices as low as humanly possible, for as long as humanly possible! All orders are shipped from inside the European Union. This means that if you are buying from an EU country, there is no customs risk whatsoever. Your order will not be seized at the border, because, as we all know, there are no border checks for EU-to-EU purchases. If you are buying from a non-EU country, you will be pleased to know we ship worldwide and can stealth-repack your order at no additional cost so it passes customs inspection easier. Here comes the sales pitch, ladies and gentlemen! All humor aside, feel free to skip this part and start shopping right away, but for those that are still reading, we want to show what’s on offer and make clear the full spread of all your risk-free options. So…what’s on the table? For starters, we sell bases in bottles big and small. All sizes come in different PG, VG, and nicotine ratios. You can have 100% VG, 100% PG and any combination in between. In terms of nicotine, we offer an astonishing array you will be hard pressed finding anywhere else. To continue, we also sell ready-to-vape eliquids with benchmark-defining flavors ranging from supremely delicious sea salted caramel to ultra luxurious toasted tobacco and beyond. Again, our selection of eliquids come in different bottle sizes with nicotine levels that will make you more than happy. Indeed, you are spoiled for choice, as you should be. With so many excellently priced and wide-ranging options to choose from, we don’t know which is harder – deciding what to buy, or how much to buy!